Mine is a story. Dan was so nervous in his first NFL huddle that Nat Moore had to interrupt him and call the play the right way. After Nat finished, Dan could only say "Ok let's do that on two. Break!" It was all downhill after that. And of coarse, Fake Spike!! Every win against the Jets!!! I can probably go on forever! The 94 season opener vs the Patriots. Hands Down. He was 33 coming off major surgery... and threw 5 TDS. Your first sentence needs to be changed a bit. 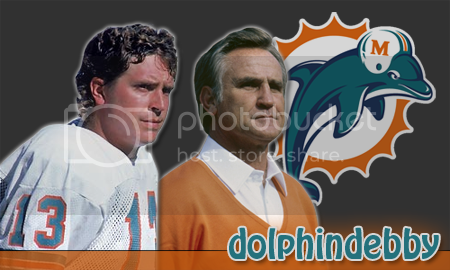 On the best quarterback ever's birthday, please post your favorite Marino highlight, quote, memory, etc . . .
Two games come to mind quickly. The Monday night when he handed the Bears their only loss of the year. And the fake spike. I would have said the fake spike, but after watching Big Dave's hghlights I realized that there are too many to choose from. For a guy that couldn't run he sure could avoid the sack and make a play. Has to be the fake spike. That was the game that made me a Dolphin fan. Watching Dan light up the Pats for 5 TD's to the Mark Brothers at Joe Robbie with my dad when I was a kid. It's still one of the best games I've ever been to. 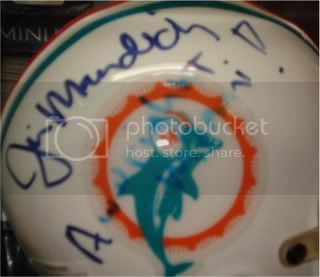 Just being able to watch him play for the Dolphins all those years was great. Don't have a favorite play or game, I don't guess. Any game with him was a pleasure to watch. My favorite thing in the world was turning on, or going to a Dolphin game knowing we had a better than even chance of winning just because we had Dan. I agree! I remember predicting the Monday night upset and everyone saying I was crazy. No matter what the odds or deficit, I always knew they could win with Dan out there. 100 years ago doesnt it.